I added some agents like service and facter. I really liked the facter agent…. and then I decided to add facts for MySQL. 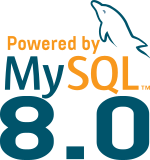 A fact is created for the version and all other MySQL facts come from the SHOW STATUS statement. 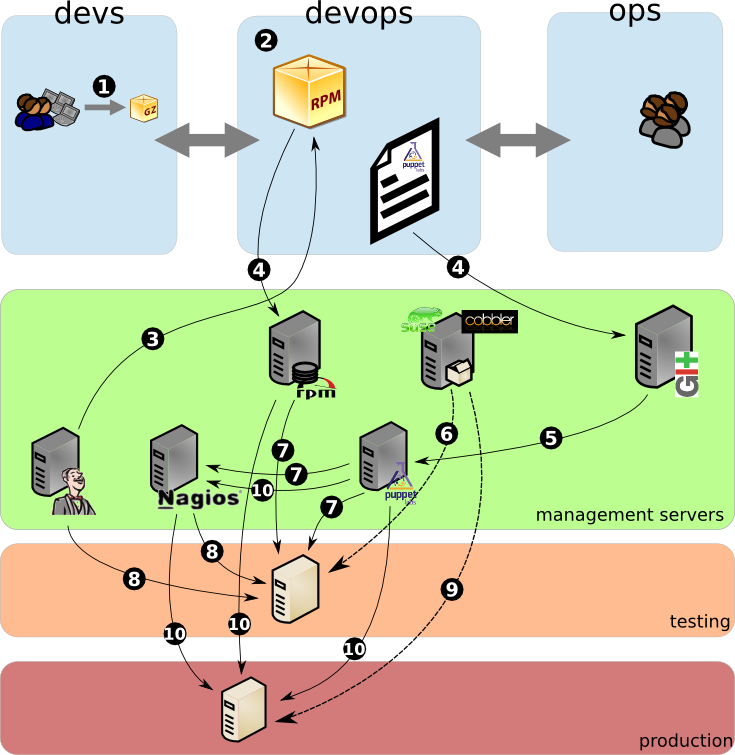 devops… to package or not to package… this is the question ! I won’t try to convince people on what do do when, neither will I say I have the absolute best solution, this post just illustrates the solution I implemented with @zipkid. Some points aren’t finished yet, not implemented… or we have not yet decided which direction to follow. A web based application (J2EE) with a MySQL backend, this product is delireved to us as a tgz package. There are many interconections between gateways, applications, databases, map servers, etc… all these defined in configuration files. We are using SLES from 10 to 11sp1 and we maintain a bunch of servers: physical machines of different types (dell, IBM blades,..) and virtual machines. What tools do we use ? What is the process then ? To install a machine, we install a basic image on a machine (virtual or physical) via pxeboot using kind of kickstart files for redhat base system or autoyast for SLES. We create the node in the dashboard, we add some variables if needed like ip, environment, task. We add the server in the autosign file of puppet. In the dashboard and puppet we have several different environments that are linked to some git branches. This allow us to test recipes or settings without modifying the production. Then puppet is started and takes care of everything : vlan interfaces, bonding the interfaces, dns resolving, install the needed package and change the configuration files via puppet. Nagios checks are also configured by puppet. For our product, we first create the package (rpm) from the tgz provided by the developers, and put it in our own repository. After having installed it on the test servers we start some load test scenario. Back to the big question then: do we package ? The answer is definetively YES ! To keep a control of what is installed on the system (package version, release and not having orphaned files). Of course puppet runs constantly on every machine to constantly guarantee the desired state, both on production and on the test machines! This is only dangerous if you don’t test your puppet recepies enough during the development phase. We don’t start the puppet client in deamon mode but we start the process via cronjobs to avoid any memory usage issues which we encountered with puppetd in daemon mode. We would like to improve the load test and automate the build, installation and test on the test server of “our product”. We plan to use hudson for the CI with jmeter for unit tests and why not tsung for bigger load tests ? Some open question we still have if we deploy a CI system is how to link a build version with a puppet configuration ? Using a new branch in git linked to a new environment in puppet (and puppetdashboard) doesn’t seem to be an optimal solution. We opted then with a git tag corresponding to the build release and only the last one in testing is deployed on the test machines. If needed we can rollback to a previous tag and package. It would be also great to automatically test our puppet recipes with a tool like cucumber-puppet. I think we are going in the right direction, but the road is still long to a fully automated processes with an overview control of all aspects. But we all agree that puppet already helped us a lot to maintain all our servers.